AnnaCarriga Estate – unique venue & accommodation provider set directly on the shores of Lough Derg, 5km from heritage town of Kilalloe, Co.ClareOur Killaloe accommodation is the perfect starting point from which to discover the hidden delights of Killaloe, Clare, Lough Derg and Ireland. Whether you are here on a golfing, angling or walking holiday or just to view the spectacular scenery, our holiday homes will suit your needs. 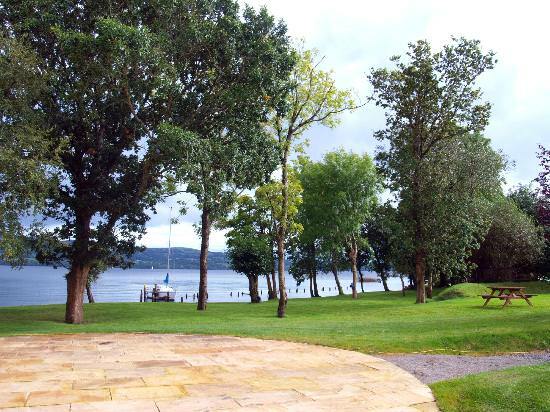 Nestled between the Slieve Bernagh mountains, set directly on the shores of Lough Derg, our holiday village is ideal place to spend family holidays. Our facilities include: Glass Pavilion (catering for up to 300 people) Selfcatering cottages, 52-berth boat marina , lake boats, restaurant, play area, tennis court & free parking. Each house has three bedrooms, including a master bedroom with ensuite. The fully fitted kitchen and dining area has all the modern conveniences one would expect from a luxury self-catering property, including washer/dryer, dishwasher, electric cooker and microwave. Meanwhile, the timber-floored sitting room is always bright and cheerful, making it a cosy place to relax at the end of a busy day. Each of the homes also boasts a private patio with comfortable garden furniture. AnnaCarriga Estate also cater for many different types of events (up to 300 people) with the accommodation onsite and we are welcoming any types of group bookings.